101,000-plus Unique Daily Visitor IPs logged a month! 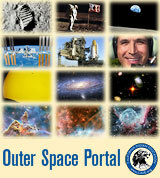 300,000 Pages Viewed a month! WELCOME to the official California Indian Education CALIE website, the American Indian tribal community leader in on-line Native American educational resources and community services in Southern California Indian Country. We collaborate with the thirty California Indian Education Centers established by the California Department of Education, and the twenty seven federally-recognized Tribal Governments located in Southern California. Please contact our Editor in Chief Ernie Salgado, Soboba Indian Reservation, to become involved with your tribal community website! There are some 565 federally-recognized Indian tribes in the United States (approximately 109 of them are located in California, with some 18 of those in the County of San Diego). In addition, there are millions of Native American urban Indians living off reservation, many of whom depend on and benefit from tribal educational, news and tribal TANF programs. SUBSCRIBE to The American Indian Reporter (AIR) tribal newspaper. 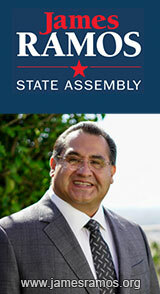 California Tribal Chairpersons Association, Inc.
by Ernie C. Salgado, Jr. The California Tribal Chairpersons Association, Inc. became a realty in December 2018 with the formal approval of the organizational documents and the seating of the Board of Directors and the Executive Council. The Board of Directors consist of one representative from each of the member tribes. The six-member Executive Council is composed of two representatives from the three geographical areas identified as Southern, Central, Northern. Bo Mazzetti, Tribal Chairman of the Rincon Band of Luiseño Indians, has provided the leadership in bringing the tribal leaders together. Denis Turner, Executive Director of the Southern California Tribal Chairmen’s Association, Inc. SCTCA, provided the organization with expertise on the development of organizational document and in-service training. RECEIVE YOUR MASTER OF JURISPRUDENCE IN INDIAN LAW - Online Degree Programs. About half of the men and women who choose the MJIL program at TU Law are members of Unites States Indian tribes. With a rigorous JD program, three graduate LLM programs, and two online master's programs, TU Law is recognized by preLaw Magazine as a Best Value Law School (2017), as a Top 40 Law School by Above the Law (2018) and is ranked 15th in the United States for graduate employment in JD (2017) and JD-Advantage positions 10 months after graduation. Candidates seek to develop the skills and expertise necessary to promote themselves into upper management and leadership positions. By gaining deep knowledge about Indian law through the MJIL program, they are able to achieve those career goals. MORE INFORMATION ABOUT AMERICAN INDIAN LAW DEGREES. Mr. Dennis Banks, Co-Founder of (AIM) the American Indian Movement passed away on October 29, 2017. 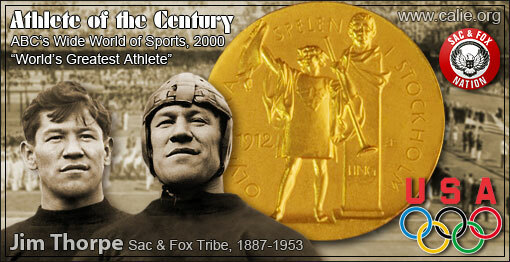 However, his legacy will live forever as a true American Indian “Warrior” of the people. In our short lives we seldom have the opportunity to meet or know of very few “Distinguished People” that truly grace us with their presence. 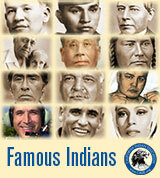 I am proud to say Dennis Banks was my friend and one of the “Great Men” of our time. 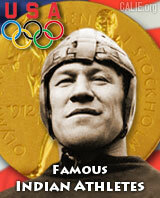 Anyone that ever had the honor of meeting him knew him as an honest, humble and caring person. When he spoke to anyone it was with respect regardless of status, they be a United States Senator or a Reservation Indian, it didn’t matter...READ THE FULL NEWS STORY CALIE'S FAMOUS INDIAN STUDY & RESEARCH GUIDE ABOUT DENNIS BANKS. 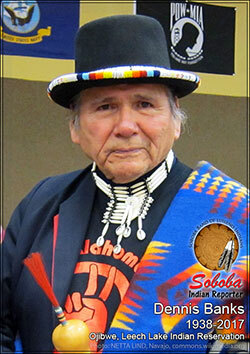 Dennis Banks co-founded the American Indian Movement (AIM) in 1968. Russell Means (left) joined the organization shortly thereafter. The two iconic Native American Indian leaders were key activists and spokespersons for the historic Wounded Knee incident (1973), and the Native American Occupation of Alcatraz Island (1969-1971). 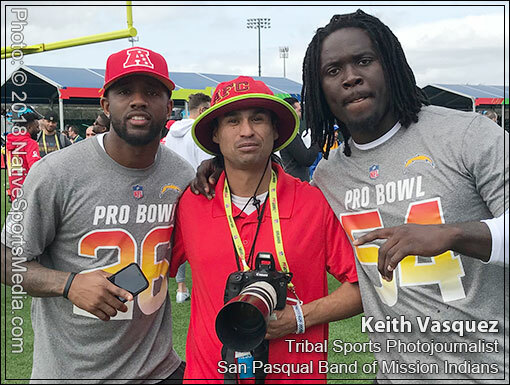 PHOTO CAPTION: The good looking guy second from the right is Richard “Dumbo” Salgado, a tribal member of the Soboba Band of Luiseño Indians. Richard served with the 1st Cavalry Airborne Division in Vietnam. He currently lives in Palms Springs, CA. Richard’s Father and brother are also veterans. His father, Ernest Salgado Sr., served in WWII and his brother Ernie Jr. was serving in the Army National Guard when called on active duty in 1966. 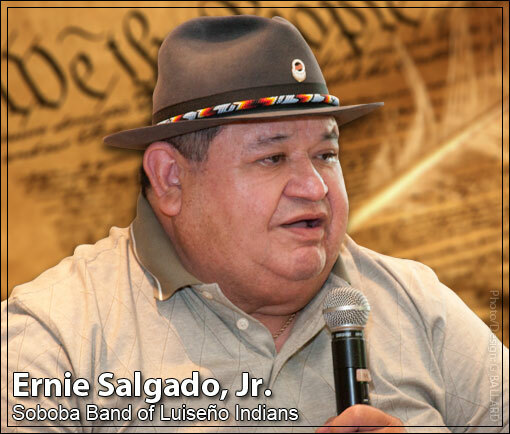 Soboba Tribal members have served in the armed forces of the United States in every war and conflict since WW I. The United States entered the war with the attack on Pearl Harbor, Hawaii on December 7, 1941 ending in May 1945 in Europe and September 2, 1945 with Japan. WW II officially began in September 1939 with the German invasion of Poland. It is estimated that over 80 million people were killed during the seven years of WW II. U.S. military records indicate their were 670,846 Americans wounded and 405,399 lost their lives, three of which were Tribal Members of the Soboba Band of Luiseño Indians. Currently 51 veterans are buried at the Soboba Tribal Cemetery of which 32 were Soboba tribal members, 12 Indians from other Indian tribes and 7 non-Indian. World War I Soboba Veteran buried at Soboba are Prudencio Resvaloso who also served as with the U.S. Calvary as a Scout in Arizona, Danny Navarro, and David Navarro. Although the Soboba Indian Reporter does not support the legalization of marijuana, the enforcement of federal statutes on the Santa Rosa Indian Reservation is troublesome. Have you ever wondered who, where and when the term “Native American” originated? Most folks under the age of 60 most likely assume it was always a term used to make reference to the American Indian people and as such just accept it. 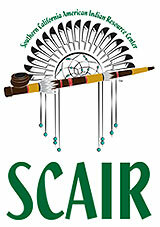 SCAIR gives away 300 Christmas food boxes to needy Native American Indian families in San Diego and Imperial counties. Go SCAIR! Frank Red-Bow Basquez Gallerito Completes Basic Training & Begins Advanced Navy Electrician Schools in San Diego. CALIE.ORG Website Turns 11 Years! 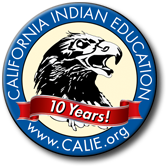 Established February of 2008 by Ernie C. Salgado Jr., www.californiaindianeducation.org website celebrated its 10th anniversary during Feb. 2019. Please contact our CEO/ASSIGNMENTS EDITOR, Ernie Salgado, for more information about becoming involved with your tribal community website and supporting California Indian Education. I am an Indian, American Indian. 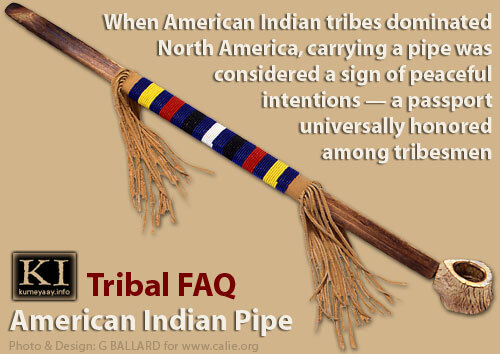 I prefer 'American Indian' (because) anyone born in the western hemisphere is a native American. Contact CALIE ASSIGNMENTS EDITOR to request a news reporter to cover your tribal events. Special to the SOBOBA INDIAN REPORTER WEBSITE. 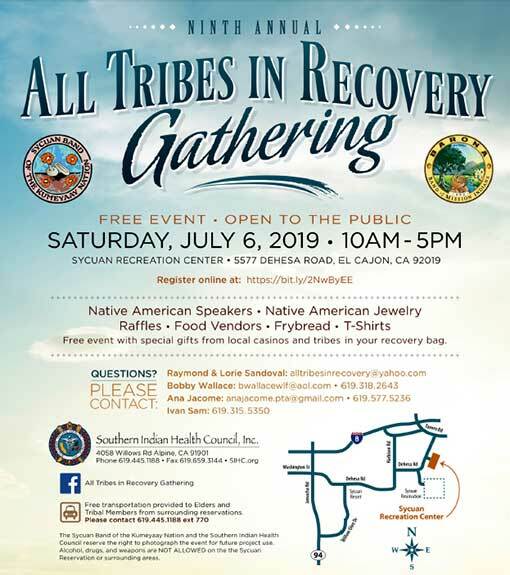 The Southern California American Indian Resource Center, Inc. (SCAIR) held its annual Gathering Of Native Americans (GONA) on June 28, 2017 at Santee Lakes Recreation Preserve. The activity was sponsored in part by the California Department of Education and U.S. Department of Labor. GONA participants celebrated with the traditional Round Dance. The primary goal of the Family GONA is to stem the cycle of poverty within the San Diego County Native American Indian community. In an effort to achieve this goal as a component of its employment training curriculum SCAIR implements two Family GONA’s annually. San Diego SCTCA Tribal TANF site manager, Paul Miranda (Pala Band of Mission Indians) played the guitar and sang. Steve Garcia (Gabrielino-Tongva) danced the Eagle Dance. 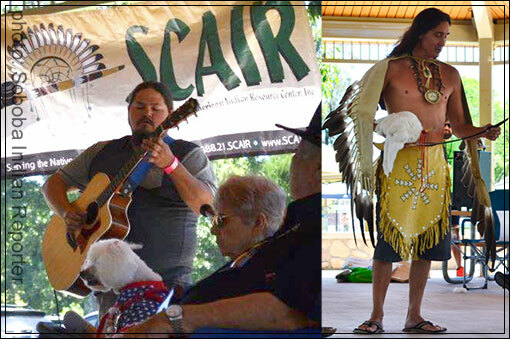 The SCAIR Family GONAs include the extended community family of tribal elders, adults, parents and youth. The GONA curriculum is designed to develop positive self-esteem, goal setting, traditional tribal values and tribal cultural awareness for the Native American Tribal community in east San Diego County... READ MORE. While I was at La Jolla Shores, an elderly foreign woman, maybe Russian approached me. Heavy accent, she asked if we were real Indians and why we were singing and dancing there on the beach. She was genuinely interested, no sarcasm. She said she was in the restroom and couldn't wait to go out to see it for herself. She was brought to tears listening to the bird songs and watching the young women dance. She kept saying it was beautiful just beautiful. She asked if we lived on Indian reservations. I told her yes a lot (many) of us do and I told her she was on Kumeyaay land now. She was so excited and the look in her eyes as she stood there and watched in disbelief that "real Indians" were before her was something I'd never witnessed. I left her with tears in her eyes and a smile like a child looking at the gates of Disneyland. She'd thought we were extinct. This commentary was contributed by Annette Guachino and published with her permission. I told myself not to write this article but sometimes I just can’t help myself. I guess I’m like the bug in the movie “Bugs Life” when he was told don’t look at the lights and as he looked at the light he said “I can’t help it.” So since I can’t help myself I am going to expose this can of worms. What is pathetic is that non-American citizens seem to get more protections from the Constitution of the United States of America than the American Indian tribal people. In fact just the other day the Federal Court judge in Hawaii ruled that the Trump travel ban was not legal because it violated the Civil Rights of the non-citizens. And if that’s not bad enough the Supreme Court ruled that the U.S. forces in combat fighting the Islamic extremist must read them their Miranda Rights. Sure the United States Congress passed the Indian Civil Rights Act in 1968 (H.R. 2516) stating “The Indian Civil Rights Act of 1968 (ICRA) applies to the Indian tribes of the United States and makes many, but not all, of the guarantees of the Bill of Rights applicable within the tribes. The legislation also addressed the crises of domestic violence that pledge the American Indian community. The Act appears today in Title 25, sections 1301 to 1303 of the United States Code. The “and makes many, but not all,” are troublesome and were not defied The US Supreme Court had made clear that tribal internal affairs concerning tribal members' individual rights were not covered by the Fifth Amendment to the US constitution. 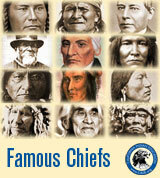 However, the tribes were ultimately subjected to the power of Congress and the Constitution... READ MORE. Serving the Southern California Inter-Tribal Community with employment information, job fairs, job listings, vocational training, education, courses and leads to gainful full and part time jobs in Southern California. 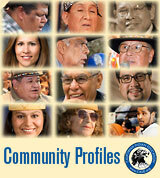 Contact CALIE ASSIGNMENTS EDITOR to request a news reporter to cover & blog your tribal events. The fun places where to find active fun things to do in Southern California, educational, family values, sports, cultural, and entertainment in San Diego area. CALIE.ORG is not responsible for errors. Maria Tallchief, Osage, 1925-2013 "America's First Prima Ballerina"
VIEJAS "V-STARS" hold successful Public Safety & Native Wellness Conference for Native American Indian youth and families...professional photo blog.